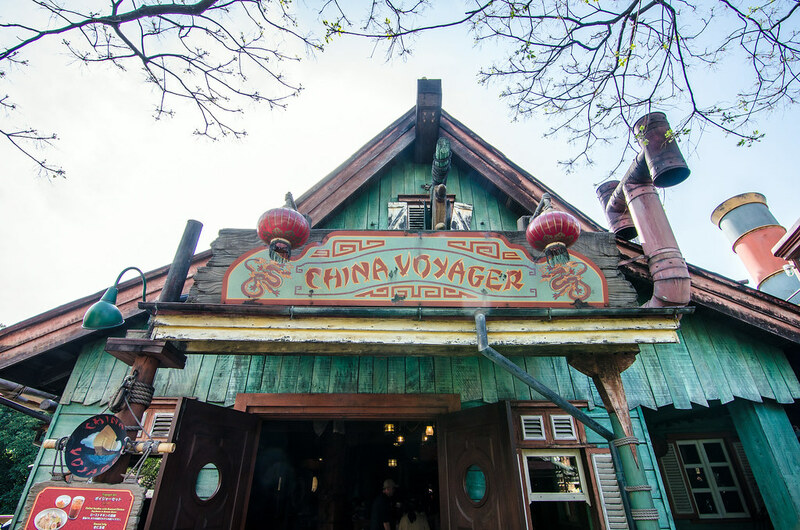 China Voyager is a counter-service restaurant in Tokyo Disneyland’s Adventureland that serves noodles and ramen. The prices are under $10 other than the set meal, which includes dessert and a drink. This review will cover our experience at the restaurant and also includes photos and thoughts on the theme. We stumbled into China Voyager after Dream Lights one night. Earlier in the evening the restaurant had been quite busy so I would recommend eating at off-hours. When we arrived, about half an hour before it closed (restaurants generally closed about an hour before the actual park) there was next to no one in line. Even if the ordering bay is crowded, China Voyager had ample seating to hold guests. 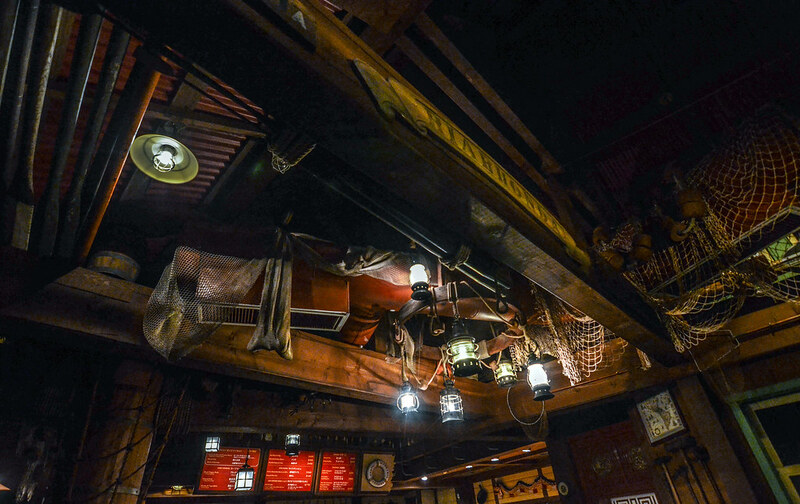 The restaurant’s back story, as explained on the Tokyo Disney Resort website, revolves around old pirate recipes. 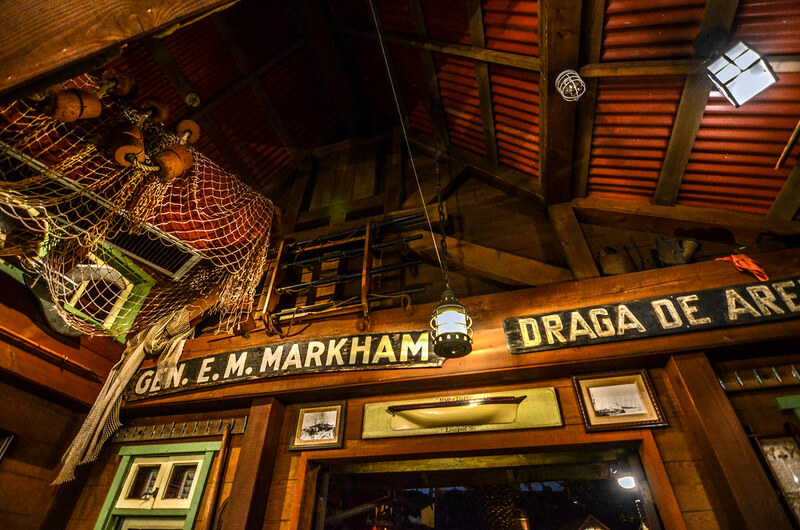 A chef who was on a pirate ship passed on his recipes to his grandson who, in turn, opened up a restaurant inside of an old boat house. China Voyager follows that theme, with the ordering bay inside of a boat house with many ship materials. Subsequent seating areas are either inside of another building that looks like a large storage shed or another boat house and there is seating right along the water. We opted to sit by the water and thoroughly enjoyed it. That evening was quiet and peaceful, a perfect place to slurp noodles as loudly as possible. The other seating areas are fun, but I would recommend sitting by the water if possible. China Voyager’s atmosphere is very strong considering it is a counter-service restaurant. There are plenty of fun details to augment the back story and a good amount of seating. The ordering bay isn’t very large so that could get crowded but the atmosphere is otherwise a plus. 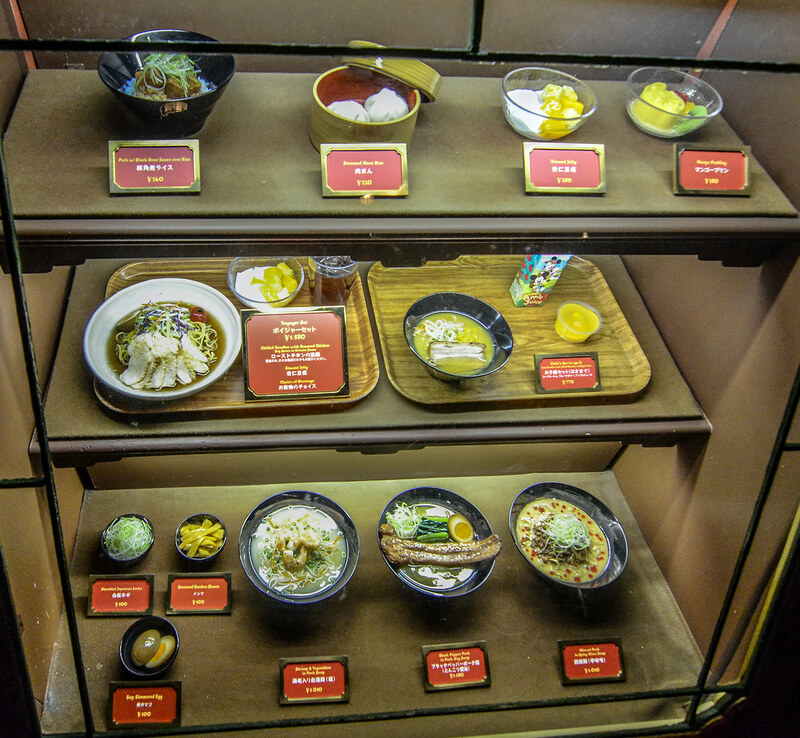 Like most other Tokyo Disney Resort restaurants, China Voyager had models of their food options in a glass case near the entrance. The menus are in both Japanese and English so there isn’t a language issue there but it is nice to see the food that is offered. From what I understand, the menu does change from time to time at China Voyager. Currently, ramen is the only item offered. This can be a bit confusing with the name, as it is Japanese ramen offered (which is inspired by Chinese noodles). Frankly, I don’t know where the name came from but it’s a good name so I digress. 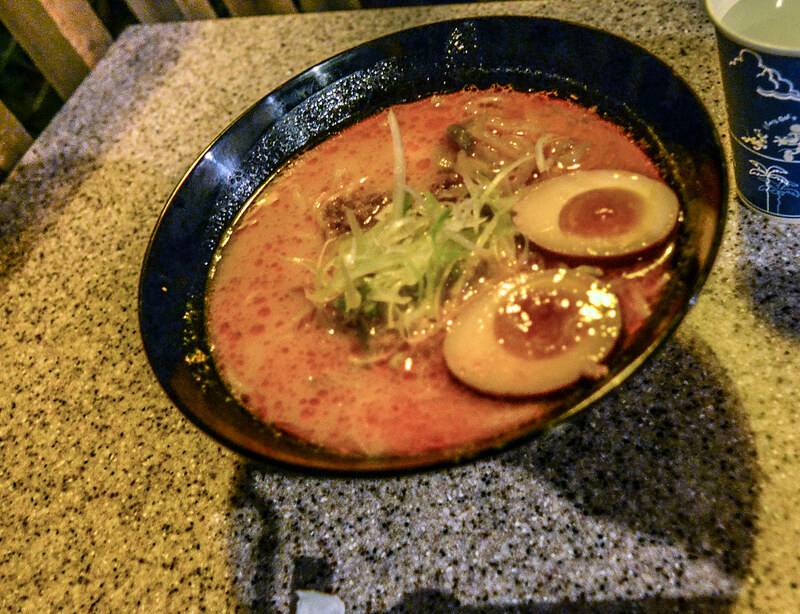 The option seen above is the Spicy Miso Ramen, which my friend Darin had. I thought it was fine but definitely preferred what I ordered. Melissa and I ordered the Black Pepper Ramen and the Shrimp Ramen. The broth was a bit lighter than other ramen I’ve had but still packed plenty of flavor. Both the noodles, shrimp and pork were delicious. As a whole, I preferred the pork option a little more just because the black pepper added a tiny bit of heat and more flavor. That also came with an egg while the shrimp did not. Either one is a quality option though. 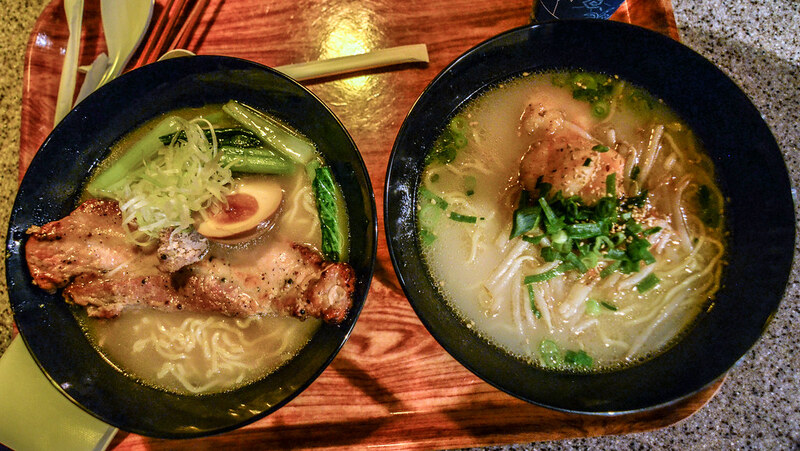 As far as value goes, all of the ramen dishes were right around $10. The set meal, which came with a drink and mango pudding, was about $15. 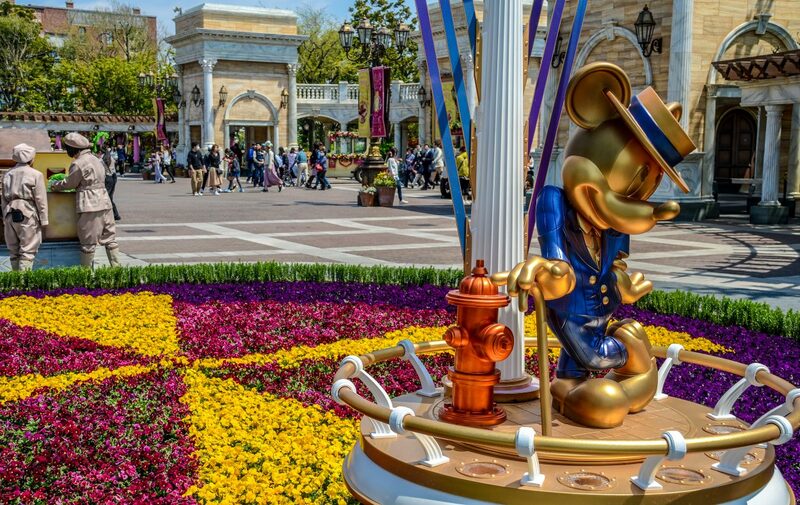 While maybe a little more expensive than other ramen places in Japan, China Voyager is a very good deal for a theme park. One bowl of ramen is more than enough to fill me up and getting that for $10 is a bargain. This is one of the better counter-service values at any theme park. I absolutely recommend going to China Voyager. As I mentioned, the restaurant can be busy but that’s because it’s very good. It is easily in my top 3 of Tokyo Disneyland’s counter-service and I’m sure we’ll be going back to this restaurant many times in the future. Do you have any questions or thoughts about China Voyager? Let us know in the comments! If you enjoy what you’re reading please subscribe to the blog and like our social media pages, all of which you can find on the right side of this page. Have a great day!